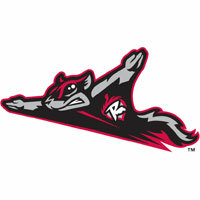 The Altoona Curve secured a spot in the postseason by defeating the Richmond Flying Squirrels 3-1 on Tuesday evening at The Diamond. Altoona (71-63) scanned their ticket to the playoffs with a brilliant effort from starting pitcher Austin Coley. Through a constant light rain, Coley (5-4) tossed seven scoreless innings, besting Richmond’s starter Cory Taylor (4-11), who turned in a quality start in the defeat. The Flying Squirrels (59-75) final homestand of the year continues with a Wine Up Wednesday at 6:35 p.m. A full rundown of the final six games can be viewed here. Working through a stead rain, starting pitchers Taylor and Coley cruised through the first three innings. Richmond’s Taylor pitched around a base hit in the first and utilized a double play in the second. Coley was also effective and efficient, throwing 39 pitches in the firs three frames. He struck out four in that span, including Myles Schroder and C.J. Hinojosa to end the third. The Curve snapped the stalemate with a run in the top of the fifth inning. Elvis Escobar opened the inning with an infield single and tool second on a passed ball. After Taylor retired the next two batters, including Coley on a strikeout, Cole Tucker careened a single into center field. Daniel Carbonell came up with the ball and threw a strike to home plate, but Tucker slide under the tag to score the first Altoona run. Altoona’s Wyatt Mathisen lifted the Curve to a 2-0 lead with an RBI single in the sixth. Anderson Feliz drew a walk to begin the inning and stole second base. With two outs, Mathisen delivered a base hit to center, scoring Feliz. Mathisen was thrown out trying to take second on the play, ending the inning. Taylor was touched up for one more run when he returned to finish the seventh inning. Tucker punched a base hit to left field, scoring Justin Maffei from second base. Taylor tossed 107 pitches, matching his season-high in the defeat. He allowed three runs on nine hits over seven full innings. Coley also lasted seven innings for the Curve in earning the win. The righty placed his change up consistently for strikes throughout the night, resulting in seven strikeouts. Coley allowed four hits and walked one. Stephen Johnson (IP, 2K) tossed the eighth inning after Taylor left the game and Cody Hall kept it a 3-0 contest with ah 1-2-3 ninth. Johnson, making just his fourth appearance of the season, blew away the first two hitters he faced. Coley was relieved by Yuedy Garcia in the eighth inning. Garcia tossed the final two innings to earn the save. Richmond scraped across their lone run in the ninth on a pair of base hits and a sacrifice fly from Carbonell. Richmond continues the final homestand of the season at The Diamond on Wednesday at 6:35 p.m. LHP Nate Reed will make the start for the Squirrels against Altoona RHP J.T. Brubaker. Tickets and additional details can be found at www.squirrelsbaseball.com.